This essay tells the story of the artist Paul Van Hoeydonck between 1955 and 1965, his links with art dealers such as Iris Clert, critics such as Jan Walraevens and Pierre Restany and art cities such as Brussels, Antwerp, Paris,Venice, Milan, Düsseldorf and NewYork.This is a decisive chapter in the post war history of art, in which these cities played a creative role. BRUSSELS Van Hoeydoncks short geometric abstract period commences around 1955 with art movements such as "ArtAbstrait","Formes" and "Art Construct". In 1957 he produces his first monochrome collages with slices glued and over painted on the canvas. In 1956,1957 and 1959 the Gallery Saint-Laurent shows his reliefs, drawings and paintings, followed by one man shows in the Palais de Beaux-Arts with "plexi-reliefs with light work" and "cities of the future". He abandons the flat surface and starts the dematerialization of his work by manipulating light and shadow. In 1961 he shows his"Bonhommes et monocles de PVH – peintre du ciel" in the P. Vanderborght gallery together with the publishing of a manifest by the important art critic Jan Walraevens. In 1965 he is selected by Jean Dypréau and Pierre Restany to join the famous "Pop Art, Nieuw Realisme" show at the Palais des Beaux-Arts. ANTWERP By the end of the fifties,Antwerp is a centre of literature, theater, jazz and art. PVH joins the group"Formes" at the "Accent" Gallery. A number of Antwerp artists create "G58-Hessenhuis" and for a short time Antwerp will be the centre of contemporary art in Belgium. With Paul Ausloos (photographer) and Jozef Peeters and Georges Vantongerloo (abstract artists) PVH joins a G-58 show at the Middelheim Castle. Between 1958 and 1962 works by PVH are exposed several times at the Hessenhuis.As a co-founder he participates at the first G-58 group show in November 1958 with Vic Gentils, Pol Mara and Dan Van Severer, and he is selected for the "Prijs Jorge belgische Schilderkunst" in 1958. March 1959 is the start of the important international exhibition "Vision in Motion – Motion in Vision". PVH is a co organizer and exposes with Robert Breer, Pol Bury,Yves Klein, Heinz Mack, Enzo Mari, Bruno Munari, Otto Piene, Dieter Rot, Jesus Raphael Soto, Daniel Spoerri and Jean Tinguely.The same year, PVH creates his first monochrome reliefs with plexi. In October 1959 PVH has a one man show at the Hessenhuis. PVH becomes friends with Georges Vantongerloo. In November 1959 he participates at the "Tweede Groepstentoonstelling G58 –Hessenhuis" with the same artists and the young Camiel Van Breedam. 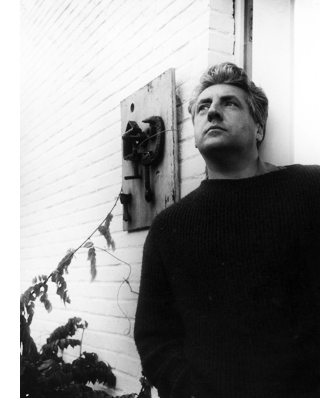 In March 1960 he is reselected for the "Prijs Jorge Belgische Schilderkunst 1959" and receives a nomination with Bert De Leeuw and Walter Vanermen. In October the "Derde Groepstentoonstelling G – 58 Hessenhuis" is presented without Vic Gentils who moved to the "Nieuwe Vlaamse School", erected by Jef Verheyen. In January 1961, PVH becomes second in the Talensprijs 1960, and in February 1961, there's the "Hedendaagse Schilderkunst Nederland –Vlaanderen - Zuid-Afrika" exhibition. In March 1962, PVH participates in the important "Anti- Peinture" exhibition with the "troupe de recherche d'Art Visuel (GRAN)" and Maurice De Clerq, Herman De Vries, Eric Dietman, Wybrand Ganzevoort, Karl Gerstner, Herman Goepfert, Jan Henderikse,jochen Hiltmann,Walter Leblanc, Piero Manzoni, Christian Megert, Henk Peeters, Martial Raysse, Jan Schoonhoven, Gruppo N (Padua) and Gruppo T (Milan).This exhibition wasn't against painting, but tried to expand its frontiers. After 1962 Ghent takes over the role of Antwerp as the centre of contemporary art. In Ghent PVH contributes to the Forum exhibitions. In the 1963 Forum exhibition, PVH shows his "Cosmologisch Interplanetair PARIS In the fifties Paris is the centre of art with the Nouvelle Vague in cinema,the Nouveau Roman in literature, I'Extensialisme in philosophy, the French Chanson and jazz. In this warzone Iris Clert has created her gallery with famous artists such as Yves Klein, Lucio Fontana, Jean Tinguely, Arman and Takis. The Belgian collector Philippe Dotremont advices Iris Clert to invite PVH by the end of 1961 in her new gallery at 28, Faubourg Saint-Honoré. PVH presents large white panels with subtle color variations, pure and clean and opened to space.This show entitled "Espaces de silence" has a broad success and Iris Clert manages to sell a painting to the New York Museum of Modern Art. By the spring of 1963 PVH participates at the "Grande Quinzaine Fiscale — Salon d'Avril. L'An 2104 presence par 40 artistes", with Arp, Arman, Bury, Chaissac, Copley, Fautrier, Fontana, Labisse, Man Ray, Seuphor and Takis. 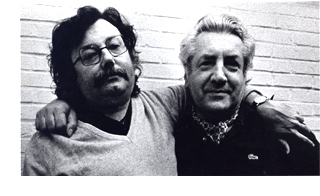 In that period PVH establishes an intense friendship with the famous art critic Pierre Restany, the founder in 1960 of the French "Nouveau Réalisme" (Yves Klein,Arman, Christo, Cesar,..). PVH never has been a member of this group but evolutes to an assemblage artist and exposes at the Iris Clert gallery with "Space-Boys", decapitated dummies from another galaxy. VENICE-MILAN Brusse Is, Antwerp and Paris will take PVH to Milan and Venice where he establishes friendship with Lucio Fontana and Piero Manzoni who are often seen in Antwerp. Together with the constructivist Guy Vandenbranden PVH exposes as early as 1959 at the same gallery as Jef verheyen: "Pater" in Milan. By the summer of 1962, PVH was one of the guests of honor at the XXXI Venice Biennale where he showed 5 white works. Iris Clert mounted an exhibition with Fontana, Pol Bury and Takis at her "Piccola Bienale" at the Palazzo Papadopoli and PVH showed a gigantic spatial construction who astonished the crowd and showed that old and new could come togetherTime and Life reported the show, who had 3000 visitors, among them Peggy Guggenheim. In 1964 Iris Clert revisited the Venice Biennale present¬ing her artists on a boat, the "Biennale Flottante" with PVH and oval paintings by Fontana.At the same time PVH exhibited at the Venice Del Leone Gallery.The same year, he was invited by Guido Le Nocci in Milan at the Galleria Apollinaire where Yves Klein started his bleu period. DUSSELDORF-GERMANYHOLLAND Düsseldorf is the birth-place of the ZERO group with the founders Heinz Mack, Otto Piene and Günther Uecker. PVH never was a member of ZERO but participated in several important exhibitions in Germany and Holland. Starting from nil,these artists wanted to create a new art by analyzing light, space and time. In March 1960 PVH was invited at the Städtliches Museum Schloss Morsbroich in Leverkusen in a show with lucio Fontana, Piero Manzoni,Yves Klein, Jef verheyen and the 3 founders of ZERO. In 1961 he participated at "ZERO-edition, Exposition, Demonstration" in the Schmela Gallery in Dusseldorf. In July 1963, he was invited in Frankfurt am Main in the Schwanehalle des Römers at the important exhibition"Europäische Avantgarde" with Enrico Castellani, Piero Dorazio, Lucio Fontana, Hermann Goepfert,Yves Klein, Heinz Mack, Piero Manzoni, Otto Piene, Jesus Raphael Soto, Jean Tinguely and Günther Uecker. In 1964, PVH received an invitation for the Kassel Documents III where the object was represented by artists such as Kurt Schwitters, Zoltan Kemeny, Pomodoro,Vic gentils, Pol Bury, Louise Nevelson and Joseph Beuys. Holland was significant for the ZERO movement with the very active NUL movement. 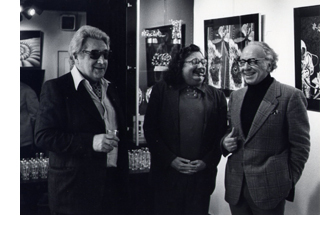 In The Hague, PVH exhibited at the Orez gallery in January 1962 in the "Nieuwe Tendenzen" show with Armando, Fontana, Henderikse,Yves Klein, Heinz Mack, Piero Manzoni, Otto Piene and Günther Uecker. In 1962 a slightly moderated "Nieuwe Tendenzen" was opened at the Rijksuniversiteit Leiden. In 1964 the exhibition "Nieuwe Realisten" at theThe Hague Gemeentemuseum confronted the work of PVH with important international artists. NEWYORK-USA PVH became world famous in the 1961 Sao Paolo Biennale. From the mid sixties he became active in the USA with a participation at the "White on white" exhibition at the Lincoln De Cordova Museum with Malevitch, Albers, Arp, Fontana, Piene and Uecker. Harald Szeeman exposed the same "Weiss auf weiss" in an altered form at the Bern Kunsthalle in may 1966 with PVH, Pol Bury, Lucio Fontana, Piero Manzoni, Robert Rauschenberg, Georges Segal and Victor Vasarely. 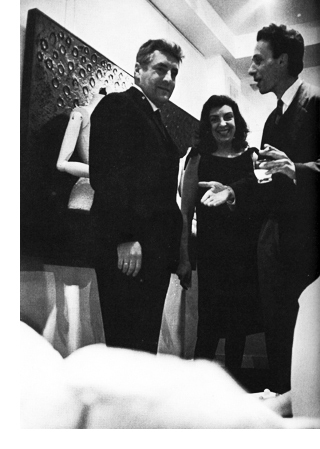 Through the Jewish Antwerp/New-York lawyer Harry Torczyner PVH met important artists, gallery owners, curators and critics.A few years later in 1971 astronauts from the Apollo 15 vessel dropped one of his sculptures on the moon. But that is a completely different story. CONCLUSION In former times, artists gathered in picturesque places like Barbizon,The Hague, Sai nt- Martin s-Lath em. PVH was part of the first generation of post war (WW 11) modern artists who used car, telephone, train and plain to seek for brothers in arms in creative areas in Europe and the USA. With monochrome painting, ZERO and "Nouveau Réalisme" he had resemblances. Especially light and white-on-white referring to space were important in his oeuvre. More than form, color and clean material but by accentuating the human being in space he was ahead of his time. As his colleagues and friends Fontana, Manzoni,Yves Klein and JefVerheyen, PVH is philosophically and art historically instructed. He as well wrote articles and essays to underline his vision on man and space. He was in the eye of the storm caused by European avant-garde between 1955 and 1965, a protagonist on the European scene, not only to renew radically, but also to use tradition to the personal development of his art. Yves Klein was ravished< when Gagarin spoke about the beauty of the color bleu in space. Lucio Fontana, the godfather stated that he was the one that opened space by cutting the canvas, but that PVH was the one to populate space with his art.